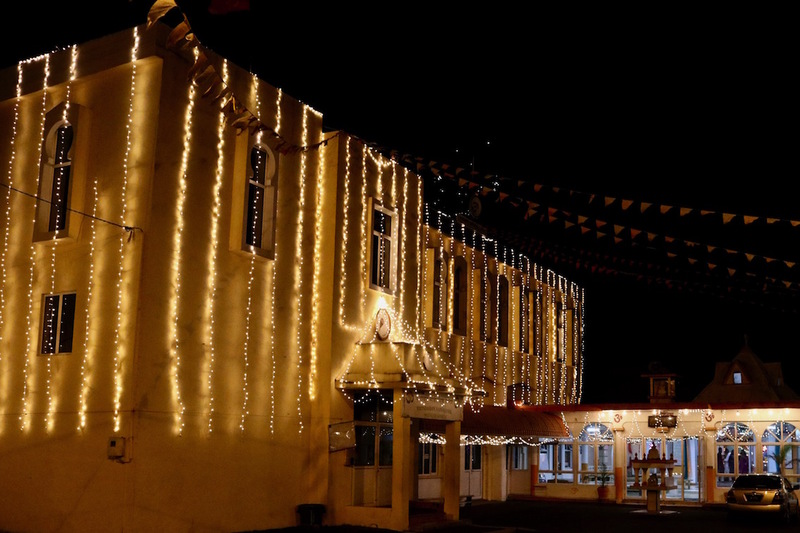 For Hindus across Mauritius, and the world, Divali, the most popular religious festival. 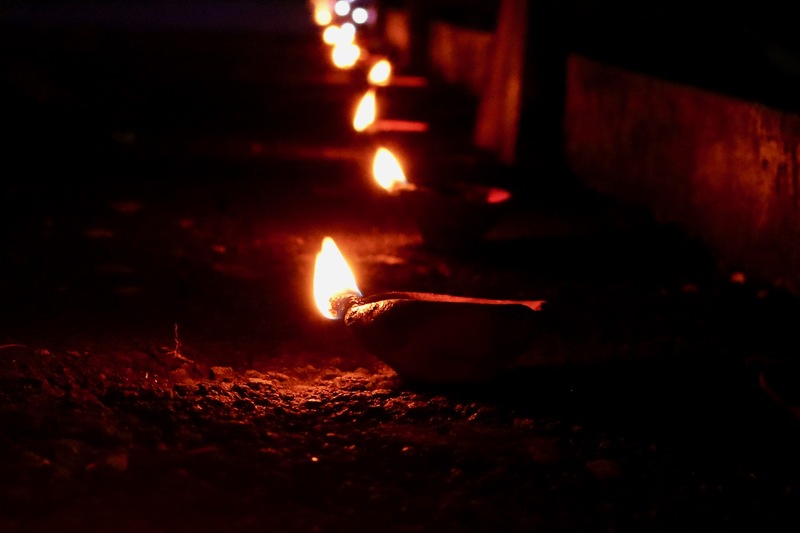 The name comes from the Sanskrit word deepavali, meaning “rows of lamps that are lit”. To celebrate Divali, people set off fireworks and light small, clay lamps called divas. 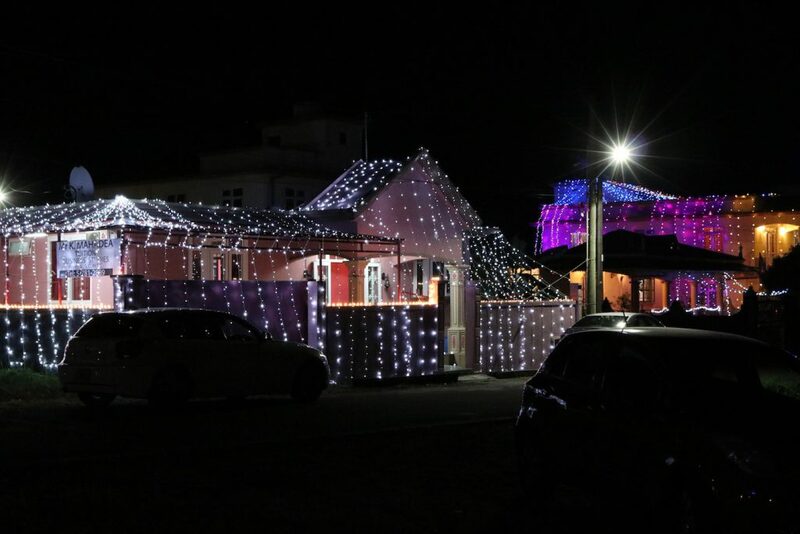 This is the traditional way. It is called The Festival of Light because because Divali marks the triumph of light over darkness and good over evil. 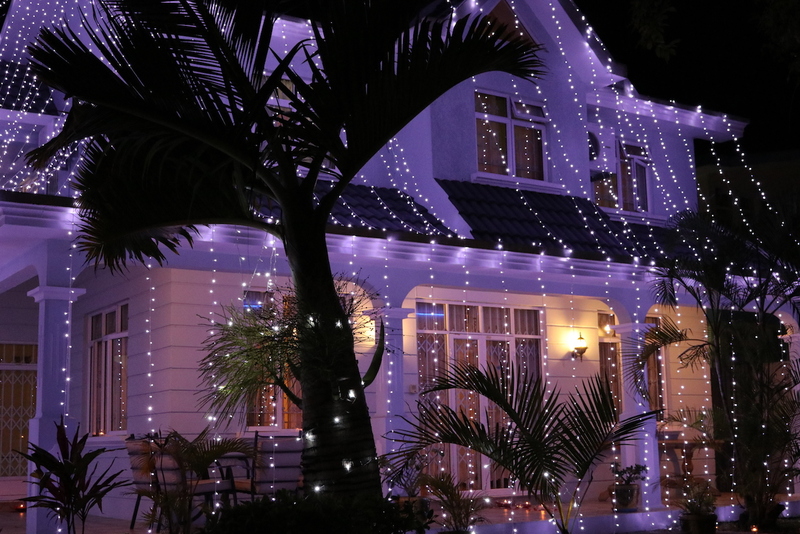 People take time to decorate their homes, doorways and courtyards with lights and candles, make sweets and savouries. 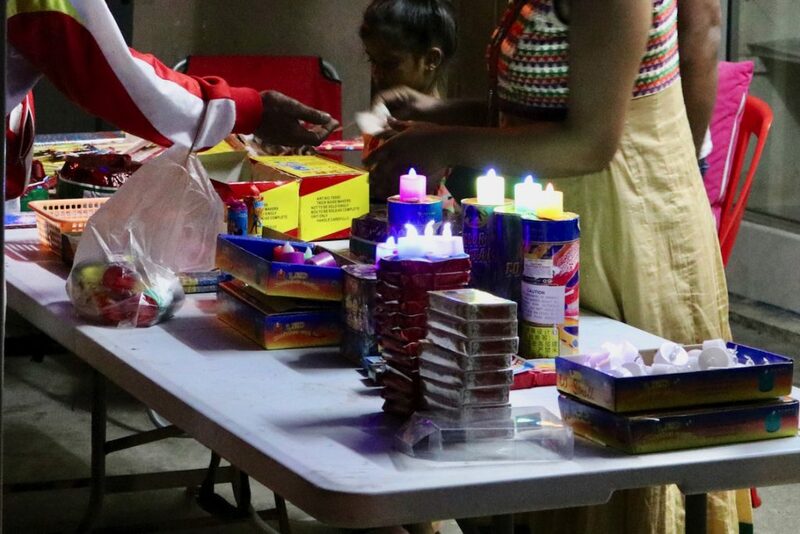 Extra supplies of candles and especially firecrackers were on sale on the streets. 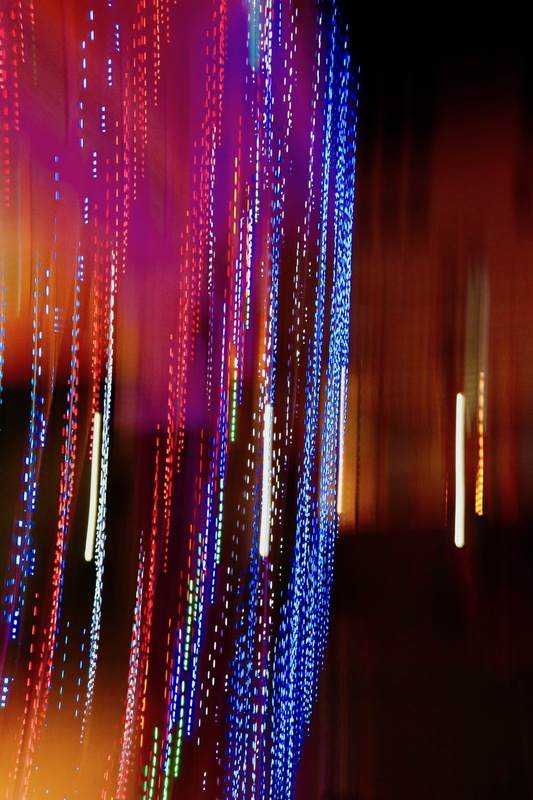 Electric lights have added a new dimension. This building was very tastefully lit. 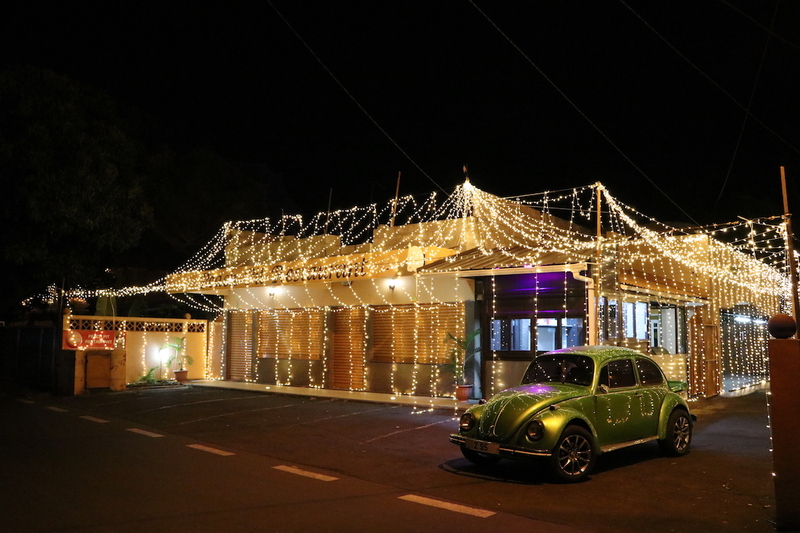 Restaurants, offices and even some small factories were decorated and spectacular from a distance. 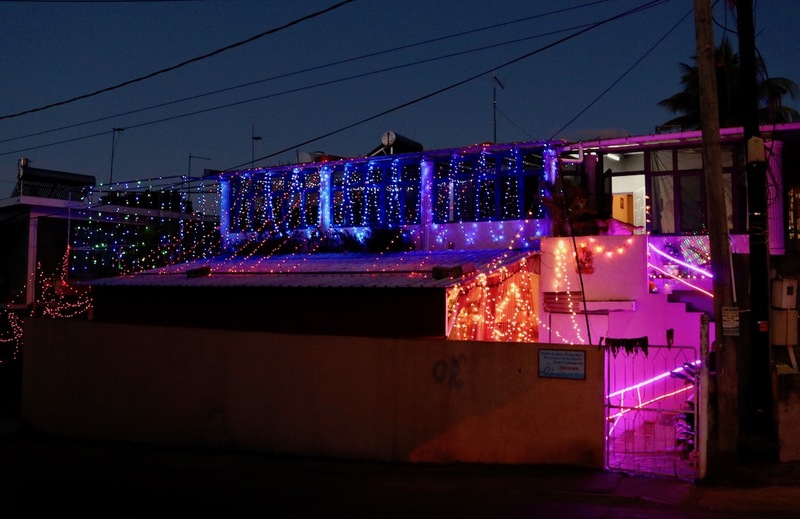 This restaurant only serves light meals. Moving my camera around whilst taking some photos of the lights gave way to some creative and colourful images. 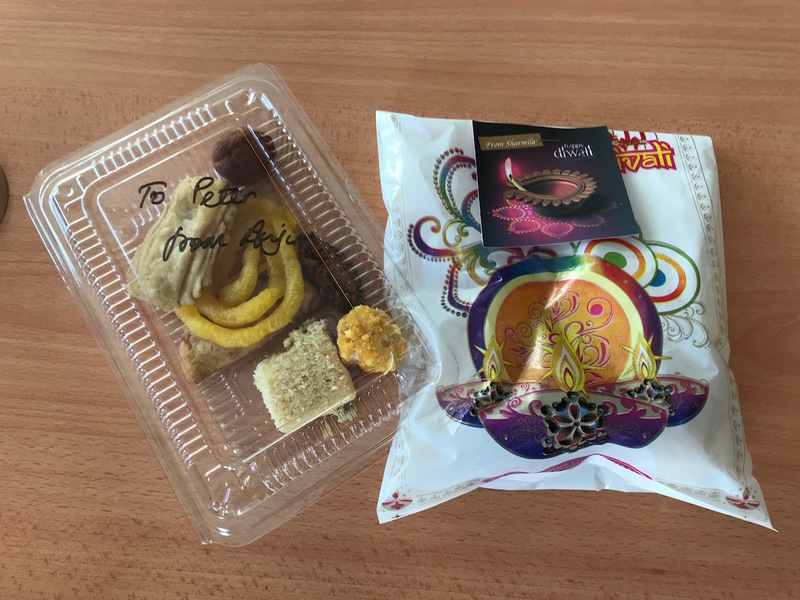 Colleagues were very kind and thoughtful to me, giving me some tasty treats to eat. 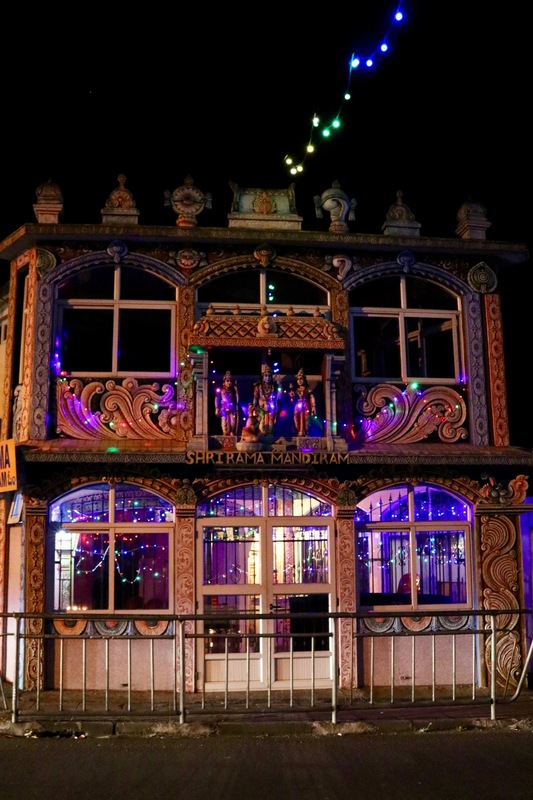 This is one of many friendly, happy, enjoyable and well supported religious festivals on the island of Mauritius. Beautiful photos ! Our island viewed from a refreshing angle ! Thankyou Leïla for your comments, I am pleased you appreciate the photographs.